Choose a FREEBIE that best fits your needs and be on the look out for more to come! 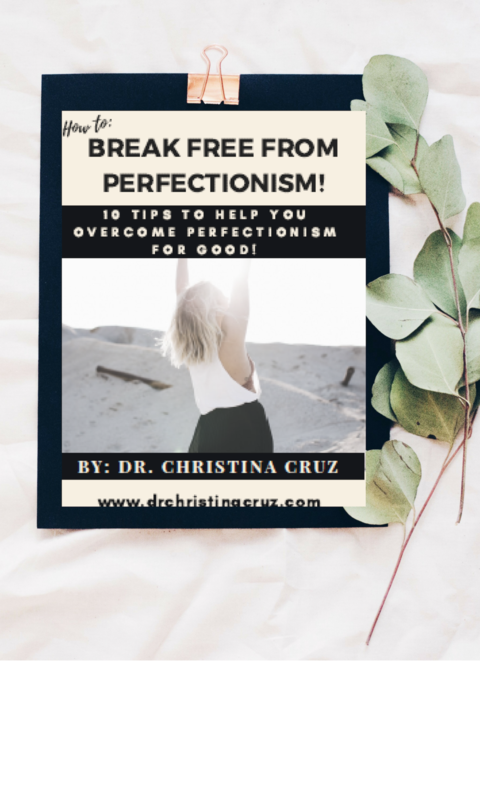 FREE Ebook, 10 Tips To Help You Overcome Perfectionism for Good! I compiled the areas I work on the most with my clients struggling with perfectionism into this FREE Ebook for YOU! With each chapter, I gently encourage you to let go of areas that might be holding you back, PLUS I include a perfectionism tip or mindset shift to help you move past your roadblock with an actionable first step. Let this guide serve as your starting point to finally break free from perfectionism for good! Thank you! Your FREE Ebook is on it’s way! Life got you down? Want a fresh perspective and an insightful take on your life? Curious about my services and how I can help you? Sign up today to take advantage of a FREE 30 minute mini session with me!